The Opticon OPI2201 has reached end of life. We recommend the Symbol DS4308 as a suitable replacement. 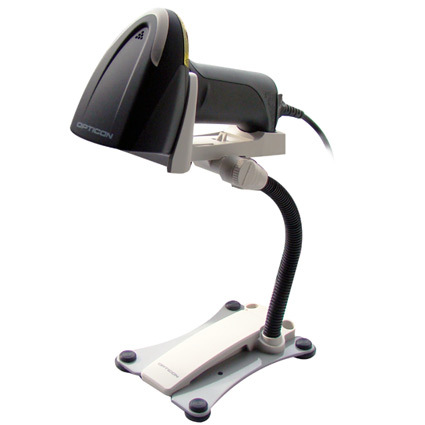 The Opticon OPI2201 barcode scanner, pictured with optional stand, provides retailers, pharmacies, or any business needing affordable 2D barcode scanning. The OPI2201´s unique auto-focus scan engine reads barcodes easily as well as gives you the option for document capture. For retail barcodes, the OPI2201 has an optimal scan range of up to 14 inches away, ideal for keeping lines moving smoothly. 2D barcodes, including QR, can be read from similar distances, making drivers license or shipping label scanning quick and easy. The auto-focus imager can also take 1.3 megapixel grayscale images, fantastic for healthcare admitting processes or drivers license capture at pharmacies or other businesses. The OPI2201 has been built with retail and pharmacy scanning in mind, and is durable enough to hold up to those environments. The barcode scanner is strong enough to survive multiple 5-foot drops to concrete, protecting it from the accidental knock off a counter. 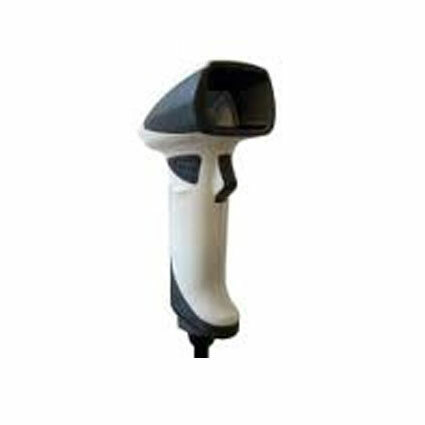 Shipping with a 2 year warranty standard, the Opticon OPI2201 barcode scanner is a smart long term scanning solution. • Dimensions (W x D x H): 2.83" x 3.74" x 6.89"
• 5 mil QR Code: 0.59" to 1.57"
• 13 mil QR Code: 0.59" to 11.02"
• 4 mil Code 39: 0.59" to 3.94"
• 5 mil Code 39: 0.59" to 6.10"
• 10 mil Code 39: 0.59" to 14.37"
• 39 mil Code 39: 3.54" to 57.09"